Close to 250 prominent Israeli rabbis have hailed U.S. President Donald Trump for his decision to recognize Jerusalem as Israel's capital by issuing a biblical blessing that God gave to Joshua, the Israelite leader who succeeded Moses and led the Jews into Israel. 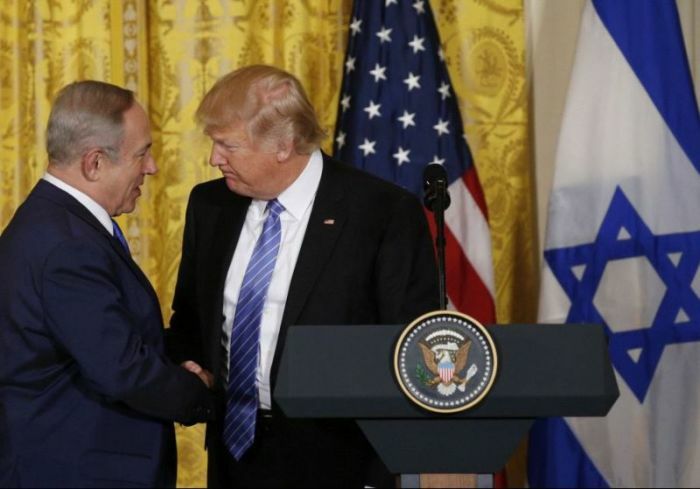 Samaria Regional Council Chairman Yossi Dagan sent a letter of blessing to the White House, Breaking Israel News reported on Thursday. The letter quoted Joshua 1:9 in saying, "I charge you: Be strong and resolute; do not be terrified or dismayed, for Hashem your God is with you wherever you go." "You have a rare privilege now to be the first president to spearhead the recognition of Jerusalem as the eternal capital of the State of Israel. We merit living in a generation in which prophecies are being fulfilled, one after the other. "The presidents of America merited standing by Israel in actualizing the prophecy of the return to Zion and the building of the State of Israel." The letter concluded, "We are sure that you will be remembered in the history of the Jewish people forever as one who stood at the fore and was not afraid. May God's promise to Joshua be fulfilled upon you." Trump's announcement on Wednesday that he will begin the process of moving the U.S. embassy in Israel from Tel Aviv to Jerusalem was met with a diverse response from world leaders. Though many evangelicals in the U.S. lauded the move as Trump fulfilling his campaign promise, Arab world leaders condemned the decision as one that will hinder peace. Palestinian Islamist group Hamas called for a "day of rage" on Friday, and argued that Trump has committed a "flagrant aggression against the Palestinian people." Palestinian President Mahmoud Abbas declared Jerusalem to be the "eternal capital of the State of Palestine" and said that Trump's decision is "tantamount to the United States abdicating its role as a peace mediator." Protests rocked he West Bank and Gaza Strip on Thursday, with Palestinians pelting soldiers with rocks, while Israeli forces fired tear gas and stun grenades. Anti-American slogans were chanted by Palestinian refugees in Jordan's capital Amman, such as "Down with America ... America is the mother of terror," Reuters reported, with hundreds roaming the streets denouncing Trump. Major church leaders, including Pope Francis, also expressed caution against the decision to recognize Jerusalem as Israel's capital. "In this regard, I cannot ignore my deep concern for the situation that has been created in recent days," Francis said on Wednesday. The pope issued a "heartfelt appeal" to the international community to ensure that "everyone is committed to respecting the status quo of the city, in accordance with the relevant Resolutions of the United Nations." Israeli Prime Minister Benjamin Netanyahu hailed Trump's historic decision, and said in a video Thursday that Israelis everywhere celebrated the announcement. "This is a festive and unifying moment, for the right, the left, religious, secular," Netanyahu declared. "We are making Jerusalem our chief joy."